The Team Elite Stingrays is a new USA Swimming club that will be offered to San Diego area children ages 10 years and older. Additionally the Marsh Swim Academy (MSA) will offer camps, clinics, lessons and experiences that will be open to all swimmers of various ages and backgrounds. Want a job in swimming? We have over 2135 Swim Jobs listed. Want a job in swimming? We have over 2132 Swim Jobs listed. On April 27, there’s going to be a way for athletes to win at the biannual Swimposium Carolina in Charlotte—even if they don’t finish first. Kristen Lewis Cunnane’s (left) recently published book Undoing Jane Doe tells her account of how she placed her sexually abusive teacher in prison and she now shares her story to help other victims. SwimSwam sat down with Bill Stephan, lifelong swimmer and veteran swim meet official to hear first hand what he and his peers are seeing when it comes to competition and swimmer safety. It’s the goal of many coaches: become a head coach at a college program, especially at the Division I level. But what does it really entail to get there? What key factors are often overlooked by applicants interviewing for their first head coach position? If you don’t like the career you’re in, you might want to work in the swimming community and be a part of our big swimming family! Go here to see 2083 Swim Jobs. McKendree University is seeking a highly motivated and energetic individual to serve as a graduate assistant for the McKendree Bearcat Diving teams at is Lebanon, Illinois campus. This individual will serve as the Diving Coach for both the men’s and women’s programs. McKendree is a member of the Great Lakes Valley Conference (GLVC) and competes as an NCAA Division ll program. TEAM Eugene Aquatics has an opening for an experienced and enthusiastic head senior-coach for our year-round competitive swim team. TEAM is a non-profit, board-governed, coach-lead swim team. Our senior swimmers train primarily out of the University of Oregon Rec Center; however, TEAM also runs practices at 4 other locations. TEAM’s goal is to compete at the highest state/regional/national level. Penn State Intercollegiate Athletics, a Division I and Big Ten Conference Institution, is seeking an Assistant Coach for the Men’s and Women’s Swimming program. The Assistant is responsible to the Head Coach for assisting in all aspects of the Men’s and Women’s Swimming program. Responsibilities include recruiting, coaching, developing, motivating, and evaluating academically and athletically qualified student athletes all in compliance with NCAA, Big 10, and Penn State University policies and procedures. Seattle Parks & Recreation is recruiting an Aquatics Manager with experience operating public aquatic facilities; swimming pools, swimming beaches and small craft facilities. There are two main recruiting objectives for this position – the Department is looking for someone who will maintain a focus on the safe operations of our aquatic facilities while ensuring the safety for participants and user. Equally important, we are recruiting someone with ability to increase and expand the diverse participation and usership of aquatic programs and facilities. Ransom Everglades School is seeking applications for an Assistant Director of Aquatics. This full time staff position begins in June 2019. In addition to serving as the Head Age Group Coach and Assistant Director for Ransom Everglades Aquatics Club, this twelve month staff member will teach physical education classes and assist in the oversight and operation of The Ansin Aquatics Center and all aquatics programs. The Race Club, with locations in the amazing tropical paradise of Islamorada in the Florida Keys and in Coronado, California, is hiring for all staff coaching positions ranging from beginner coaches to experienced, professional coaches and everything in between. Usual duties helping run emerging Div II Christian College Swim Team alongside Head Coach and Olympian Josh Davis, Assistant Coaches Nathan Townsend and Noah Yanchulis. Season is Aug 27th thru April 25th. Meal Plan and housing covered. Numerous grad degree plans available. Elsmore Swim Shop, one of the largest and most successful swim team dealers in the US, is currently seeking high energy, people-oriented account managers to join our growing organization in our Apple Valley, MN Headquarters. In this position, you will be responsible for managing account sales, new and existing client relations, and bring in new business. As the lead point of contact for all swim team matters, you should anticipate the client’s needs, work within the company to ensure deadlines for client are met and help the client in all their team outfitting needs. Tripp Lake Camp is located in Poland, Maine. Founded in 1911, Tripp Lake is considered one of the finest girls’ camps in the country. Our 7 week residential summer camp for girls ages 7 to 16 offers a broad array of team and individual sports, performing and visual arts, and outdoor living in a fun and stimulating environment. The City of Berkeley is excited to share the recruitment for Aquatics Facilities Supervisor. This classification is responsible for the planning, organizing, directing, supervising, and participating in the operations and maintenance of one or more swimming pools and adjacent facilities. The YMCA of Greater New York is here for all New Yorkers — to empower youth, improve health, and strengthen community. Founded in 1852, today the Y serves a diverse population of more than half a million New Yorkers who learn, grow, and thrive through programs and services at our 24 branches. Community is the cornerstone of the Y. Together, we connect active, engaged New Yorkers to build stronger communities. SwimLabs is hiring swim instructors for our brand new, state-of-the-art facility in Sugar Land! We are looking for motivated and determined individuals to join our ever-growing team. Swim Instructors are responsible for providing the best customer service and hospitality to our customers while teaching private and group swim lessons and maintaining a safe and effective learning environment to clients of all ages, skill levels, and diverse backgrounds. Eagle Swimming Association was established in August 2006 with the goal of building a swimming community in the southern half of Humble School District. It is a non-profit organization that features a competitive age group and senior swim team that offers swimmers in the Humble area an opportunity to excel in the sport of swimming. The assistant coach for swimming will assist the head coach in all aspects of the men’s and women’s program that participates in NCAA Division I competition. Duties include but are not limited to: coaching, recruiting, coordinating practices, assisting with team travel, program development, procuring equipment and other duties as assigned by the head coach. This position reports to the Head Swimming coach and is responsible to assist in all phases of a competitive intercollegiate Swimming and Diving program in compliance with NCAA conference, Northeast Conference (NEC), Metro Atlantic Athletic Conference (MAAC) and institutional rules and regulations. Area Tallahassee Aquatic Club is seeking a highly motivated, creative, and energetic coach to fill the role of Head Age Group Coach for our year-round competitive swim team. 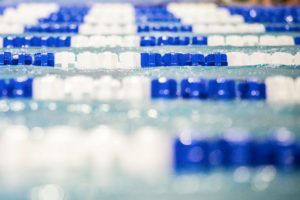 ATAC is a privatized competitive swimming program managed by Performance Enhancement Enterprises, Inc. through a contractual relationship with the City of Tallahassee. The program is run under the direction of the City of Tallahassee Parks, Recreation and Neighborhood Affairs Department. The ATAC program has developed Olympic Trials qualifiers, USS Senior national finalists, USS Junior National finalists, and multiple high school state champions. ASCA develops and supports professional coaches and quality career opportunities in collaboration with its partners in the world aquatics community. We are an independent professional association based on a central theme of: “Leadership, Education, Certification.” We are dedicated to creating and enhancing solutions that are effective in strengthening and improving the coaching profession, American swimming and World Swimming. Under the direction of the Aquatics Director, the Aquatics Instructor is responsible for providing private and group swim instruction to clients; maintaining a safe and effective learning environment while focusing on the fulfillment of clients’ swimming goals; achieving personal revenue goals; and providing the best customer service and hospitality to members and guests. The Bay Club Company is a hospitality company. We provide experiences which celebrate a healthy and vibrant lifestyle. Our unique service culture is guided by a set of core values and driven by energy, enthusiasm and dedication. Alligator Aquatics is a privately run, not for profit (501c3), USA Swimming club based in Arlington Heights, Illinois which operates primarily out of Prospect, Wheeling, and St. Viator high schools. We have approximately 150 swimmers ages 6 and up, across every skill level from developmental to collegiate swimming. Our mission is to help swimmers of all ability levels achieve their goals and to inspire passion and dedication in our athletes. Alligator Aquatics has a 45 year heritage of developing well rounded, competitive swimmers. The Alligators has an active board, experienced coaching staff of 6, and a committed parent support-base. We are a 501c3 non-profit, coach-run organization. We own and operate our facility and pride ourselves on fostering excellence both in and out of the pool while instilling life lessons such as dedication, sportsmanship and a strong work ethic. Our competitive team is roughly 100 swimmers and we currently have 6 Junior National qualifiers and are a 5-time recipient of USA Swimming’s Club Excellence Bronze Medal. SwimLabs Swim School in Sugar Land, TX is currently seeking motivated and determined individuals to join our ever-growing team. Swim Instructors are responsible for providing the best customer service and hospitality to our customers while teaching private and group swim lessons and maintaining a safe and effective learning environment to clients of all ages, skill levels, and diverse backgrounds. The FISH Swim Team, located in McLean, VA, is seeking a full-time swim coach to work with all levels of the program – and to be the primary coach for the 9-12 developmental group. This group is one of the foundations of our program; and is a great opportunity to coach some up and coming young kids with a lot of enthusiasm for the sport. The Y is a cause for strengthening community. We’re more than your local health and fitness club. At the Y, we help build a healthy spirit, mind, and body with our core values of caring, honesty, respect, and responsibility at the heart of everything we do. We pride ourselves on unprecedented customer service and connecting water, safety and fun. In essence, we are a traveling swim school in the summer months. We deliver excellent customer service and swim lessons at the clients pool. This is one (important) element of our organization as we quickly expand. Now is your chance to be a part of a rapidly growing business. Due to popular demand we have expanded our lessons to the Fall, Winter, Spring and Summer. We have a rental agreement with a local high school pool to accommodate our Fall, Winter, Spring and Summer clients. Velocity Swimming (VS), (www.velocity-swimming.com) of Wenatchee, Washington (USA) is seeking a dynamic, motivated, and highly skilled Head Coach to lead our year-round competitive swim program in the beautiful Wenatchee Valley. We are seeking an ASCA level 3 or higher Head Coach for our competitive swim club. Velocity Swimming is open to considering the right candidate with equivalent experience. CAC is looking for an enthusiastic coach who is eager to play an integral part in the development of our athletes. The assistant coach position will oversee all aspects of their respective programs, including management and running of daily practices all the while supporting the coaching philosophy and direction of the program as established by the head coach. Assistant coaches report directly to the Head Coach. The positions are paid hourly and require approximately 15-18 hours of on deck coaching per week and 1-2 weekend meets per month. Do you love kids and love to swim? If so, SwimLabs Swim School has a job for you! We are a new swim school in the area, and we are looking for enthusiastic, self-motivated, energetic people to join our team. We teach lessons to all ages and abilities in a unique environment of warm-water pools using visual feedback. As our first Head Coach, Pietro, is leaving after three years to pursue life on the West Coast, Calvert Aquatics Club (“CAC”) is seeking applicants for its Head Coach position. Pietro has been our reliable, unwavering leader who helped build this program from the ground up and we appreciate his knowledgeable, consistent leadership. We are seeking a career minded coach who can build upon this foundation and bring the club to even greater heights in the next five years. Lakeside Aquatic Club is currently accepting resumes for the position of Site Head Age Group Coach. The ideal candidate must demonstrate sound knowledge energy system training, advanced stroke mechanics and the ability to positively motivate and teach swimmers ages for 8-14 years old. DAYTON RAIDERS SWIM CLUB (currently a 180 member, USA GOLD MEDAL EXCELLENCE TEAM) is seeking qualified applicants for a full-time assistant to work with our 3 senior groups/athletes, including our national level athletes. We are looking for coaches that have a passion for swimming and enjoy working and developing young people. The Dayton Raiders is a supportive board run organization with a professional staff and motivated athletes. The University of Virginia is a highly competitive Division I program committed to academic and athletic excellence. The Department of Athletics at the University of Virginia is looking to fill the position of Volunteer Coach for the Men’s and Women’s Swimming and Diving programs. The University, located in Charlottesville, Virginia, is a selective public institution known for its teaching, research, and public service. The University of Virginia sponsors a twenty-seven sport intercollegiate athletics program, which includes approximately 650 student-athletes. Palo Alto Golf and Country Club is looking for friendly, caring, energetic, and fun loving Swim Instructors, great pays and guaranteed hours. These jobs are ideal for college students, stay-home parents, and professionals. Local or past competitive swimmers, swim instructors are highly desirable. Submit your resume today! The Pleasant Prairie RecPlex and Patriots Swimming are looking to add a new full time member to their team. This is a great opportunity to join one of the most exciting aquatic staffs in the nation. The RecPlex is home to 40+ aquatic events annually; including LSC Championships, Zone Championships, Speedo Meets, and August 2019 Pan-American Open Water Junior Championships. Santa Clara Swim Club is seeking a full-time Club Manager to support the Head Coach/CEO and Board of Directors. Responsibilities include, but are not limited to, general club management, club communications, human resources, and managing the activities of all managers and administrative staff. Established in 2012, Beach Cities Swimming has made it to the National Stage in swimming in a very short time, earning Bronze and Silver Medal Status in the last years in a row. We’re looking for coaches who want to be a part of The High Performance Team in the South Bay. We are proud of what we have done is such a short time and are looking for energetic professional swim coaches. We are located in Redondo Beach California. Zionsville Swim Club is seeking qualified applicants for a full-time assistant to work with both age group & senior athletes. We are looking for coaches that have a love of swimming and enjoy helping develop young people. Zionsville SC has a supportive community, a professional coaching staff and motivated athletes. If you have a Swim Job to present to the community, please submit here and SwimSwam will post to the Swim Jobs channel. The fee to submit a Swimming Job is very low, only $50, and SwimSwam leverages the Swim Job to social media, @SwimSwamNEWS (with 101,000+ followers) and SwimSwam Facebook (with 657,000+ fans). I also leverage Swim Jobs on @GoldMedalMel (with 32,000+ followers) and GoldMedalMel Facebook (with 300,000+ fans). We’ve learned Swim Jobs are important to our audience. They like knowing what jobs are available in our big swimming family. ***Disclaimer: Because we have included the Swim Jobs above, it does not mean they are all available. Many swim jobs are filled very quickly. If you want to be a part of the swimming community, you have to act fast. Good luck with your Swim Job search.